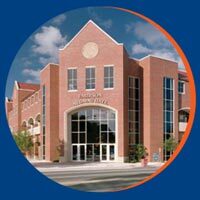 JP, originally from a small town just outside of Pittsburgh, PA, is currently the Assistant Director of Alumni Communications for the University of Florida Alumni Association. Prior to his position with UF's Alumni Association, Jon-Paul was the Web Content and Communications Specialist for Santa Fe College. He also has six years of teaching experience at the college level (university and community college), focusing on coursework in Professional Writing, Public Speaking, Business Writing, and other communications courses. Jon-Paul also has spent three years as a senior journalist and editor for an online news website and several months as an educational exam editor. Prior to his teaching and editing experience, Jon-Paul was a professional writer at the Chamber of Commerce in Butler, PA. He's also been a writing tutor at a university in Pennsylvania and a sports journalist for a small-town newspaper.